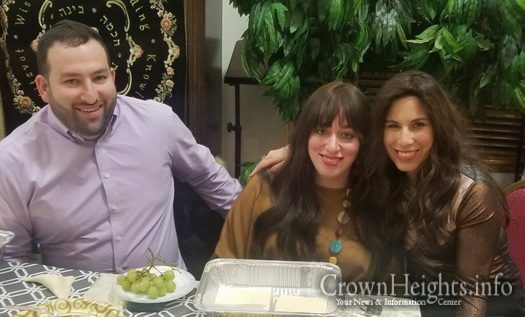 Chabad of Orange County, directed by Rabbi Pesach and Chana Burston, hosted a fun and educational “Bourekas & Blessings” event at the Chabad Center in Chester. 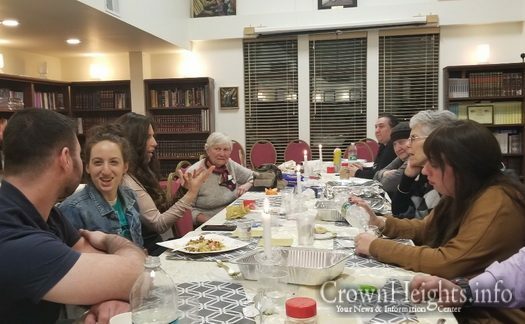 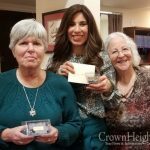 The “evening filled with food, friend fun and friends” focused on making bourekas as well as learning the various blessings made on foods according to Jewish tradition. 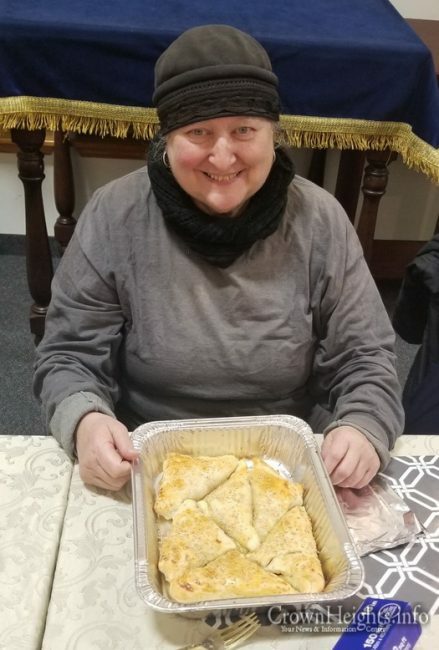 Bourekas, very popular in Israel, are delicious puff-pastry Middle Eastern hand pies, stuffed with a variety of fillings from sweet to savory. 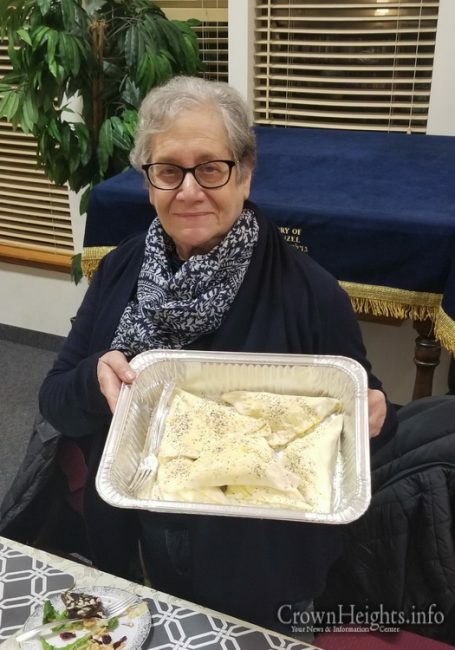 While bourekas vary in shape, the Chabad event focused on the triangle, as they are similar to the popular “Hamantash” pastry traditionally eaten on the Jewish holiday of Purim, which is coming up soon. 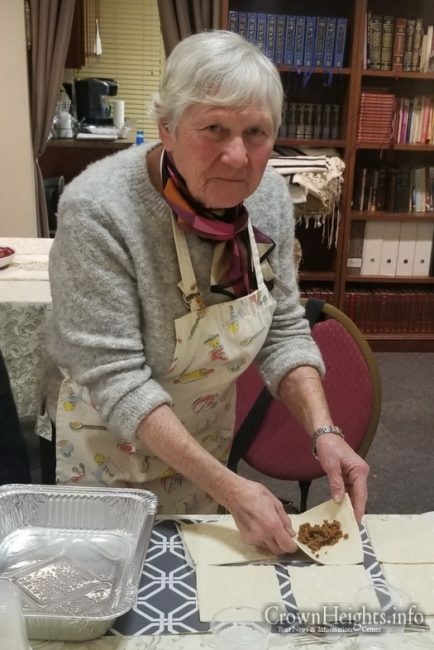 At the Chabad workshop, Rabbi Pesach and Chana taught the art of making these bourekas. 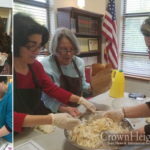 Fillings included: Ground beef, chicken pot pie, mashed potato, apple and cherry. 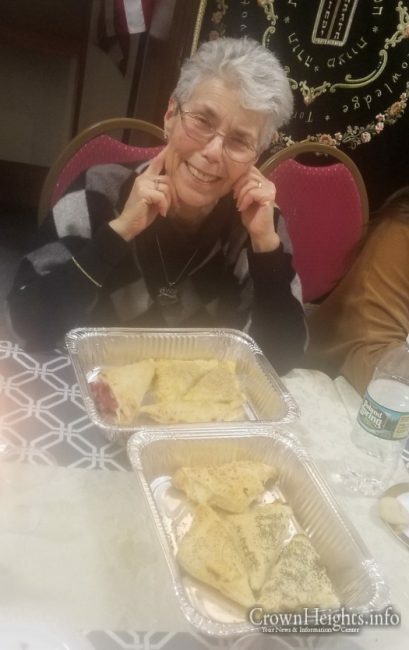 There was also a tasting bar of various read-made bourekas and salads. 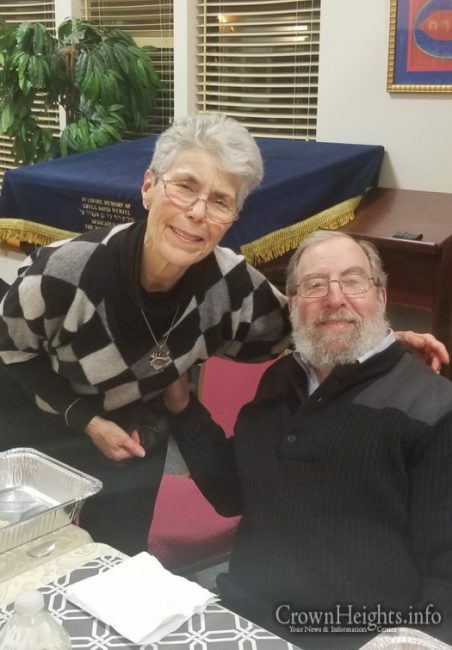 Rabbi Pesach and Chana also led a discussion on the Jewish traditional blessings recited on various food groups. 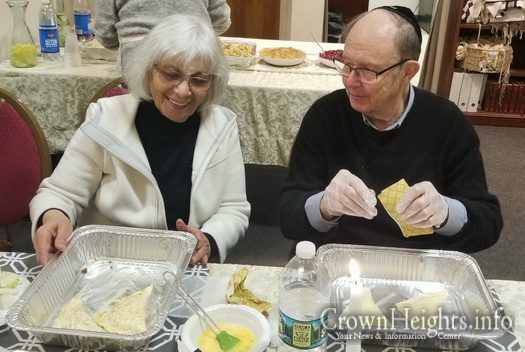 “Before putting any food in our mouths, the Jewish sages teach that we should pause for a moment, recite a few words blessing and thanking the Creator, and only then proceed with our eating,” Rabbi Pesach explained. 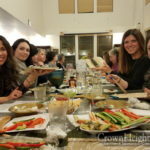 “We have transformed the most prosaic of acts into something holy.” Each category of food has its own unique blessing text, based on the provenance of the food and its position in Jewish tradition. 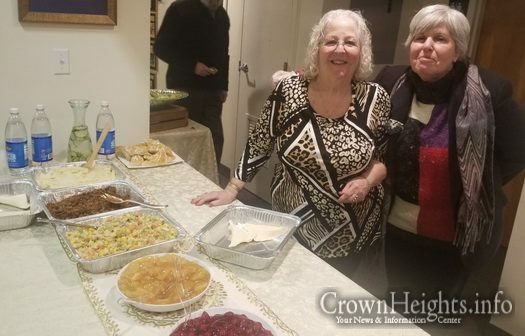 Chana then presented a buffet of all the food groups, with posted signs of each of the appropriate blessings. 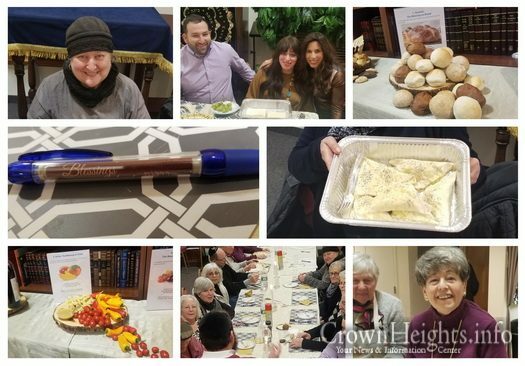 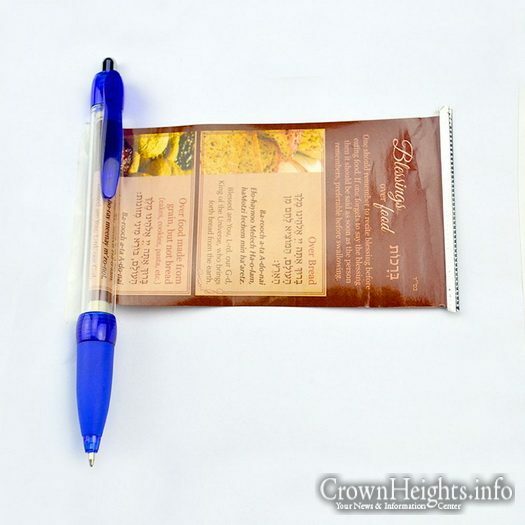 Participants of the evening left home with a special gift: A unique “Blessings Over Food Pen” – a pen that has a pullout scroll with images of the food groups and text of the traditional blessings over foods. 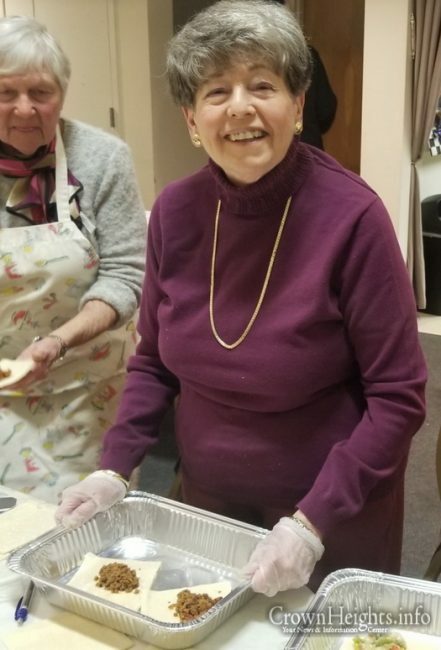 Participants also went home with lots of their hand-made bourekas. 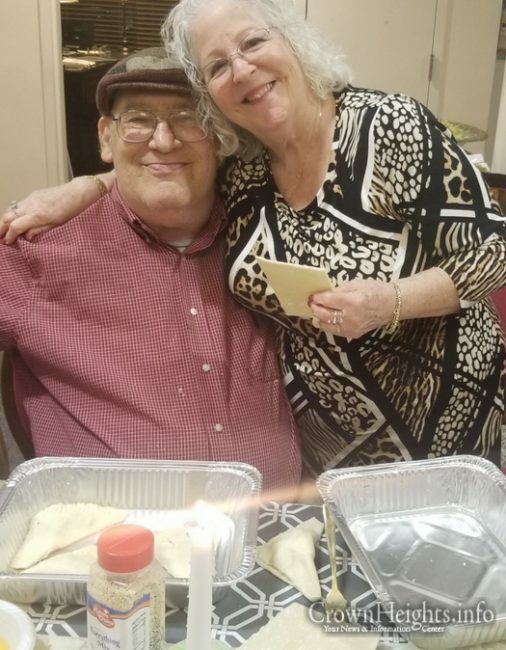 The event was made possible thanks to the generosity of Dr. Alan and Pam Shanker and Gil and Phyllis Goetz. 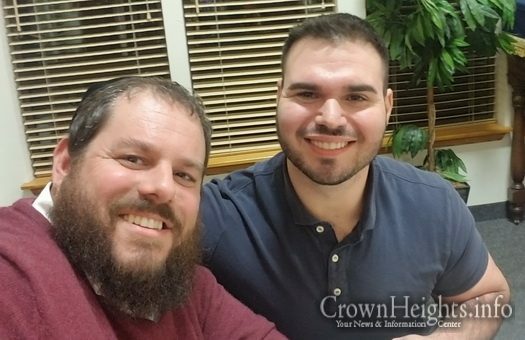 To learn more about Chabad’s educational programs and services, open to the entire community, contact Rabbi Pesach and Chana Burston at 845-782-2770, www.ChabadOrange.com.